My fellow foreigner friends have often told me that I’m rather adventurous when it comes to Japanese snacks and confectionery. I would agree with this. Sometimes it has gone very pear shaped but often the result is a happy one. 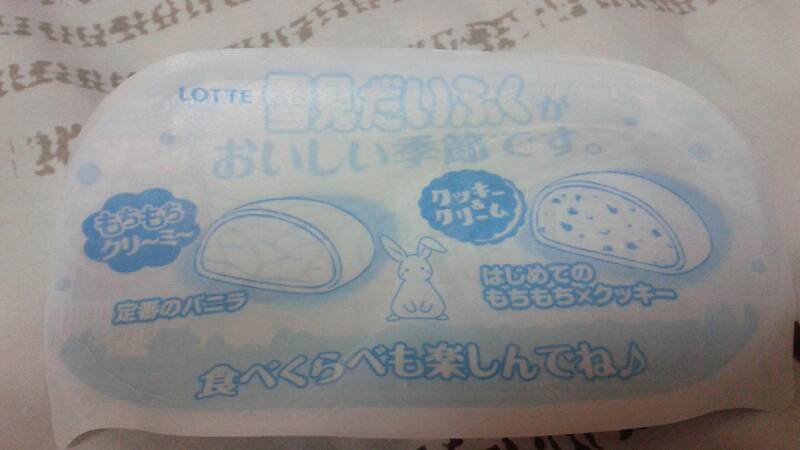 Lotte’s Yukimi Daifuku was the best gamble I ever took! Usually found in vanilla flavour, both strawberry and chocolate with melty chocolate inside can be found seasonally. When I first tried it, I wasn’t really sure what to expect, but the revelation was mind blowing. 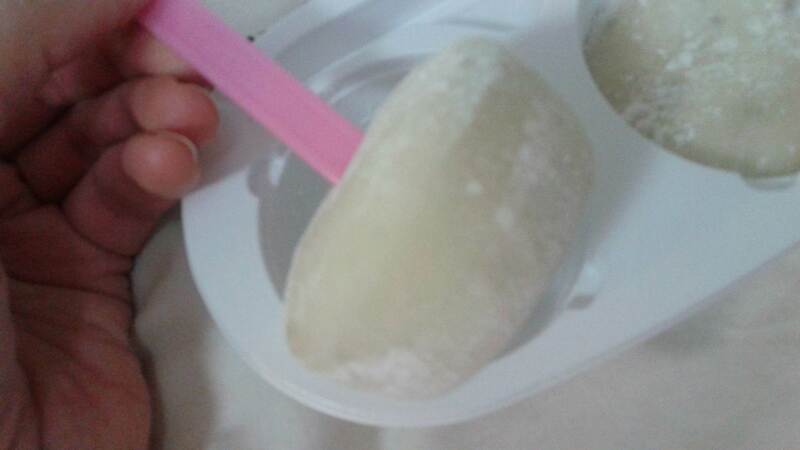 Around the small scoop of vanilla ice cream was a thin layer of mochi, the glutinous rice cake product used in confectionery and soups that I love so much. 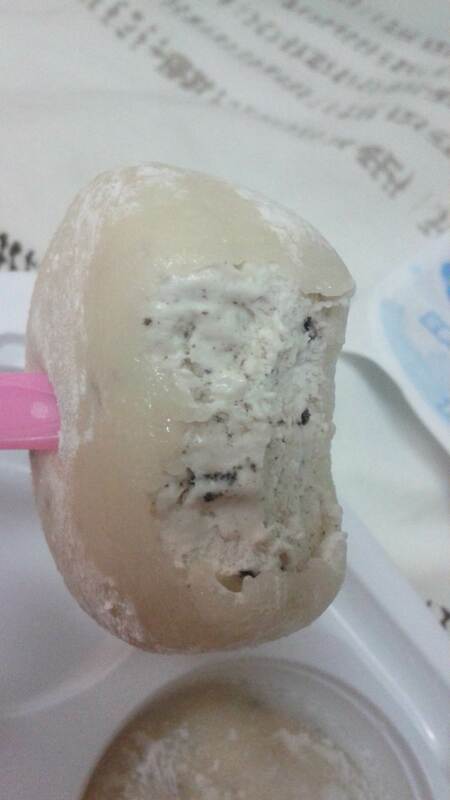 The harmony of the chewy mochi coupled with the smooth taste of vanilla ice cream was astounding. It sounds impossible but it just works! I sat there and demolished both portions, chomping away quite happily. That’s the marvellous thing about this version too – it’s a lovely treat and you can eat both portions without feeling guilty, ever. 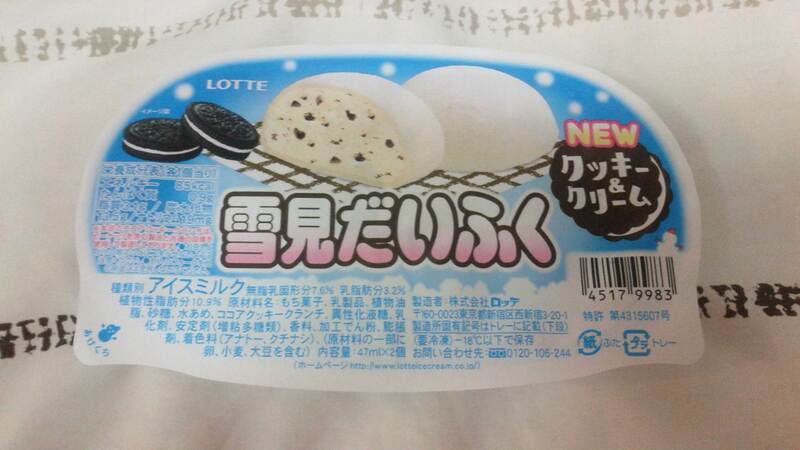 Anyway, when I saw this new Cookies and Cream version in the convenience store the other day, I just knew I had to have it. And it was nothing short of amazing, with the added yum-factor of cookie pieces. What else would you expect? I’m sure you must have your suspicions by now that I am a winter ice cream eater – nothing can get in the way of me and ice cream! Do you stay away from ice cream in the winter, or do you indulge year round like me? That looks incredible. I love ice cream, and indulge year-long and world-wide – which was a gamble in places like India and Burma, but I survived. I wish I had seen these when in Japan – I did have some nice ice creams from the vending machines, though! 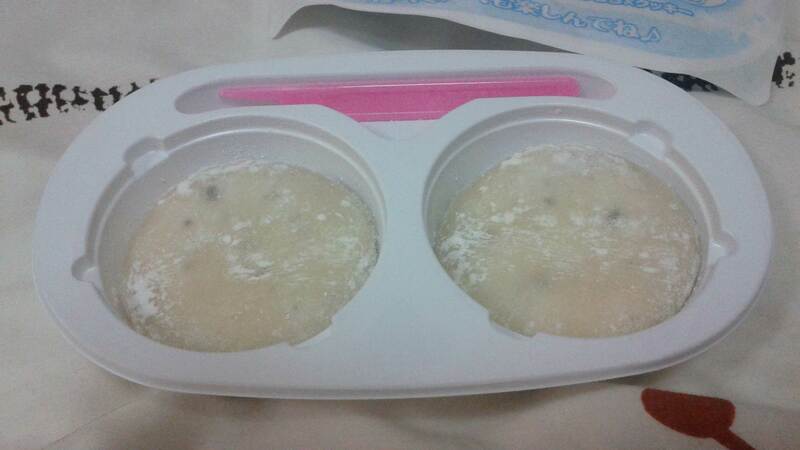 Have you ever seen the pea-flavoured ice cream? I had it in China but also saw it in Japan. It was NOT a good gamble..
Do you also like the mochi ice cream that comes in smaller balls in Asian grocery stores? They have cute flavors like strawberry, green tea, vanilla. More fro-yo places are now stocking mochi as a topping as well. Asian snacks rule! Am dying for a trip to Japan. Love the packaging on cosmetics. I never thought of it like that before 🙂 All the better to ply myself with ice cream then! 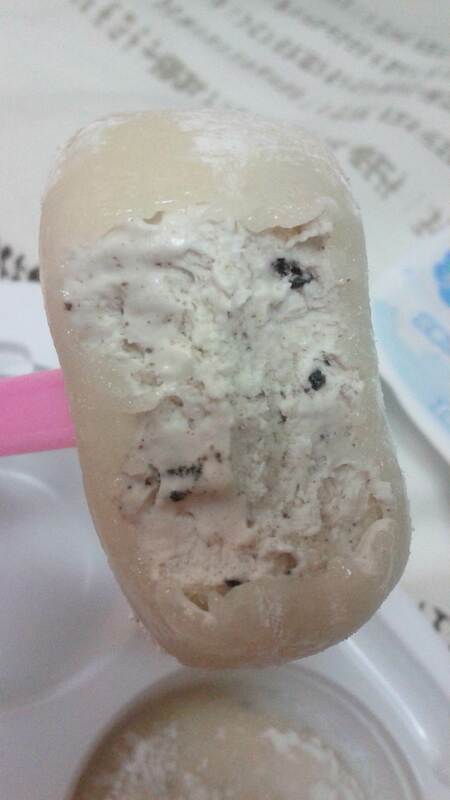 One of the first things I ate, when I came here last summer, was eating Yukumi Daifuky Ice, the cookie ones. So tasty! In the meanwhile I ate the vanilla, Strawberry, Caramal Pudding and the raspberry-cheesecake ones.